What is involved in pallet heat treatment? The International Standard for Phytosanitary Measures No. 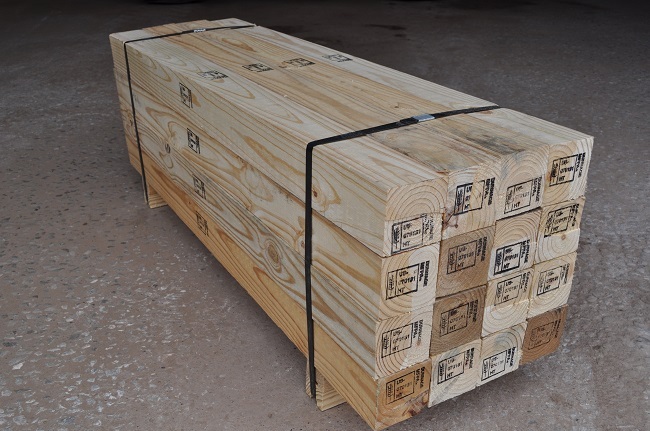 15 (ISPM15) is one of a number of international standards that regulate wood packaging materials in accordance with the 1951 International Plant Protection Convention (IPPC). A multilateral treaty ratified by 176 United Nations member states, the IPCC aims to co-ordinate action to prevent the spread of plant pests and diseases. Wood packaging materials (WPM), also called non-manufactured wood packaging (NMWP) or solid wood packing material (SWPM), are defined as hardwood (non-coniferous) and softwood (coniferous) wood products. Examples of WPMs include pallets, pallet collars, crates, boxes, drums and other types of pure wood containers or supports. They exclude chipboard, plywood, veneers or other wood products that have been manufactured using heat, pressure and glue or a combination of these processes. Any packaging materials that are a combination of WPMs and manufactured wood products are regarded as WPMs under the regulations. Under the ISPM15 regulation, WPMs must be either heat treated to 56 degrees Celsius to the core over 30 minutes or fumigated with methyl bromide. Heat treatment became the most popular method as it is quick, effective and safe. Methyl bromide is a carcinogen and is being phased out under the Montreal Protocol. Some quarantine treatments are allowed but European countries have stopped using it altogether. The heat treatment has to be applied to debarked wood. This prevents pests from accumulating in the timber prior to the manufacture of wooden pallets or other wooden supports or containers. The heat sources used in the treatment can be conventional steam, a dry kiln heat chamber, heat-enabled chemical pressure or dielectric heating using microwaves or radio frequencies. The treatment should be carried out in the coldest available location so that the target temperature in the wood takes a long time to achieve and can be maintained at that level in the core for the required 30 minutes. The temperature distribution in the pieces of wood will vary according to the moisture content and how the wood has been stored. Heat chambers used in this treatment must be well insulated — including their floors — and allow air to circulate within and around the stacks of wood. Fans are used to circulate the air and maintain the target temperatures. At least two temperature sensors have to be inserted into the wood to ensure the target is reached. In dielectric heating, electromagnetic waves – microwave or radio frequency – are absorbed by the entire volume of wood, its water content and any organisms that maybe infesting it. The treatment begins by achieving a minimum surface temperature of 62 degrees Celsius for at least 60 seconds. However, the wood’s thickness should not exceed 20 centimeters. Dielectric irradiation of wood can be more effective that conventional heat treatment or methyl bromide fumigations. Radio frequencies are preferable to microwaves as they have a superior penetration and produce less variability within the body of the wood. Radio frequencies are also a faster process and can treat large stacks of wood material. The great advantage is that this process can achieve a 100 per cent pest kill rate without damaging the structure of the wood. The process also reduces the wood’s moisture content, so it speeds up its drying time. Heat treated pallets using dielectric irradiation have a superior impact resistance, shear strength and wood quality than those treated with conventional heating methods.